We would like as many people to see thewrongman.org as possible. If you could help us by putting this graphic on your blog we would be grateful. HTML code is below. The May/June edition of the Basildon & Thurrock Hospitals newsletter featured this photo of a senior civil servant handing over a ceremonial key to the Chairman of the local NHS Trust. On July 2nd it was press released that the Centre had taken its first patients. Alan Johnson visited the operational facility at the end of July. Brown was pictured today (October 4th) cutting the ribbon to 'open' said facility. One of the first patients from July, Peter Cripps, was even brought back for the 'opening'. "Al Gore 2000 nomination acceptance speech: I know my own imperfections. I know that sometimes people say I'm too serious, that I talk too much substance and policy. Al Gore 2000 nomination acceptance speech: I pledge to you tonight: I will work for you every day and I will never let you down." Gordon Brown: This is my pledge to the British people: I will not let you down. John Kerry 2004 nomination acceptance speech: And what can I say about Teresa? She has the strongest moral compass of anyone I know. Gordon Brown: And this is my moral compass. Bill Clinton's State of the Union 1995: As we move into this next century, everybody matters; we don't have a person to waste. Gordon Brown: This is the century where our country cannot afford to waste the talents of anyone." I hope Mr Brown will ask for a discount from Mr Shrum. When the Labour government first proposed relaxed laws on gambling such as the introduction of supercasinos much was said about Brown, then Chancellor, ditching his roots as the son of a Church of Scotland minister. He cleverly redeemed himself on becoming Prime Minister, however, by doing a U-turn and scrapping the plans for supercasinos. Now he's showing a worrying complacency towards the massive issue of problem gambling - something which affects low income families more than aristocrats and international spies. His press team have tried to spin The Gambling Commission's damning prevalence report as an encouraging progress report, saying that it shows that only 1 in 100 people are problem gamblers. It doesn't take much scratching of the surface to see the real nature of the report, they got this statistic by ingeniously including the lottery. "With the dexterity of a steely eyed poker player, Gordon Brown gave little away in the lead up to the Gambling Commission's report, allowing speculation to flourish that problem gambling was on the rise. 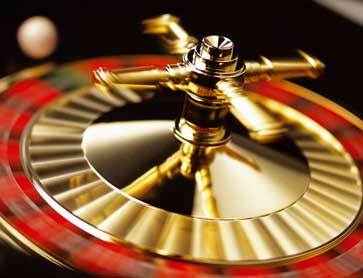 When the cards were finally placed on the table, it seems that a mere 1 in 100 adults has an addiction to gambling. Look a little closer and we see this is a clever bluff. The number of problem gamblers jumps considerably to 1 in 7 for users of spread betting, 1 in 10 for users of Fixed Odds Betting Terminal's and 1 in 10 for users of betting exchanges; the very areas of gambling that will now be advertised on our television screens. If Britain wants to be the regulatory beacon of socially responsible gambling that the Government promised, Gordon Brown will need to look the nation in the eye with a little more senerity and commitment."